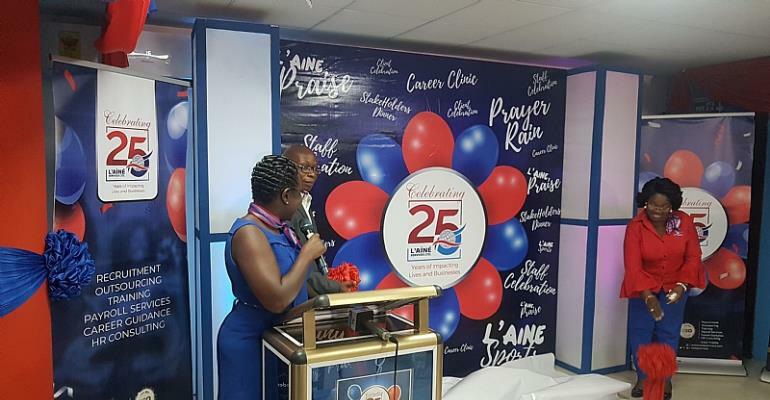 L'aine Services Limited, Ghana's premier Human Resource (HR) consultancy, which has reiterated its commitment to providing excellent and innovative HR solutions to Ghana is 25 years this year. 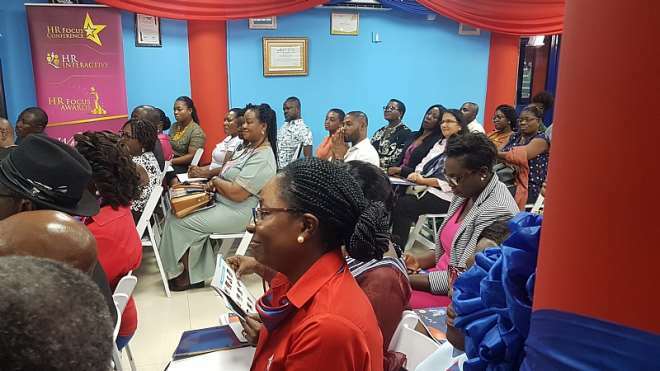 In a speech delivered by the executive director, Dr. Ellen Hagan explained that, L'AINE's vision is to "transform every life and business we come across " and stressed the need for staff who understand the business and are willing to go the extra mile, as well as innovations and state of the art technologies that ensure the seamless flow of business. Board chairman of L'AINE services limited, Rev. Prosper Asamoah, who launched the event, stated the importance of putting in place the right systems and creating a safe environment for employees to perform at their optimum. According to him, entrepreneurship is the way forward and therefore called on stakeholders and corporate partners to support L' AINE services in achieving its vision of developing entrepreneurs in the country through L' AINE foundation. He also outlined the leadership's vision to encourage the enthusiastic participation of staff in achieving the vision and mission of L' AINE and to ensure that clients receive the maximum support to make their Organization thrive. L' AINE service limited is a people company, in the business of creating the best opportunities for organizations by providing the best people for business, with the Mission to improve on every single life and business they come across with innovative and HR solutions.